For other uses, see Beersheba (disambiguation). From Upper left: Beersheba City Hall, Ben-Gurion University of the Negev, Negev Museum of Art, view of down town, Volunteers square, Be'er Sheva at night. Beersheba, also Be'er Sheva ( /bɪərˈʃiːbə/; Hebrew: בְּאֵר שֶׁבַע Be'er Sheva [be.eʁˈʃeva]), is the largest city in the Negev desert of southern Israel. Often referred to as the "Capital of the Negev", it is the center of the fourth most populous metropolitan area in Israel, the eighth most populous Israeli city with a population of 207,551,  and the second largest city with a total area of 117,500 dunams (after Jerusalem). There are several etymologies for the origin of the name "Beersheba". The oath of Abraham and Abimelech (well of the oath) is the one stated in Genesis 21:31. Others include the seven wells dug by Isaac (seven wells) though only three or four have been identified; the oath of Isaac and Abimelech (well of the oath in Genesis 26:33); the seven lambs that sealed Abraham and Abimelech's oath (well of the seven). The Arabic toponym can also be translated as "seven wells" or, as more commonly believed, "lion's well". During Ottoman administration the city was referred as "بلدية بءرالسبع" (Birüsseb). Beersheba is mainly dealt with in the Hebrew Bible in connection with the Patriarchs Abraham and Isaac, who both dig a well and close peace treaties with King Abimelech of Gerar at the site. Hence it receives its name twice, first after Abraham's dealings with Abimelech ( Genesis 21:22-34), and again from Isaac who closes his own covenant with Abimelech of Gerar and whose servants also dig a well there ( Genesis 26:23-33). The place is thus connected to two of the three Wife–sister narratives in the Book of Genesis. Zibiah, the consort of King Ahaziah of Judah and the mother of King Jehoash of Judah,  was from Beersheba. Human settlement in the area dates from the Copper Age. The inhabitants lived in caves, crafting metal tools and raising cattle. Findings unearthed at Tel Be'er Sheva, an archaeological site east of modern-day Beersheba, suggest the region has been inhabited since the 4th millennium BC. The city has been destroyed and rebuilt many times over the centuries. Tel Be'er Sheva, an archaeological site containing the ruins of an ancient town believed to have been the Biblical Beersheba, lies a few kilometers east of the modern city. The town dates to the early Israelite period, around the 10th century BC. The site was probably chosen due to the abundance of water, as evidenced by the numerous wells in the area. According to the Bible, the wells were dug by Abraham and Isaac when they arrived there. The streets were laid out in a grid, with separate areas for administrative, commercial, military, and residential use. It is believed to have been the first planned settlement in the region, and is also noteworthy for its elaborate water system; in particular, a huge cistern carved out of the rock beneath the town. View of Beersheba from the south in 1902. During World War I, the Ottomans built a military railroad from the Hejaz line to Beersheba, inaugurating the station on October 30, 1915. The celebration was attended by the Ottoman army commander Jamal Pasha and other senior government officials. The train line was active until the British Army forced the Ottomans out in 1917, towards the end of the war. Beersheba played an important role in the Sinai and Palestine Campaign in World War I. The Battle of Beersheba was part of a wider British offensive in World War I aimed at breaking the Turkish defensive line from Gaza to Beersheba. On October 31, 1917, three months after taking Rafah, General Allenby's troops breached the line of Turkish defense between Gaza and Beersheba. Approximately five-hundred soldiers of the Australian 4th Light Horse Regiment and the 12th Light Horse Regiment of the 4th Light Horse Brigade, led by Brigadier General William Grant, with only horses and bayonets, charged the Turkish trenches, overran them and captured the wells in what has become known as the Battle of Beersheba, called the "last successful cavalry charge in British military history." On the edge of Beersheba's Old City is a Commonwealth War Graves Commission Cemetery containing the graves of Australian, New Zealand and British soldiers. The town also contains a memorial park dedicated to them. Beersheba police station. 1948. Original building Ottoman with British Mandate addition. Soroka Hospital opened its doors in 1960. By 1968, the population had grown to 80,000. The University of the Negev, which would later become Ben-Gurion University of the Negev, was established in 1969. The then Egyptian president Anwar Sadat visited Beersheba in 1979. In 1983, its population was more than 110,000. In 2011, city hall announced plans to turn Beersheba into the "water city" of Israel. One of the projects, "Beersheva beach," envisions a 7- dunam facility opposite city hall. Other projects include new fountains near the Soroka Medical Center and in front of the Shamoon College of Engineering. Since 1950, Beersheba has changed its municipal emblem several times. The 1950 emblem, designed by Abraham Khalili, featured a tamarix tree, a factory and water flowing from a pipeline. In 1972 the emblem was modernized with the symbolic representation of the Twelve Tribes and a tower. Words from the Bible are insrcibed: Abraham "planted a tamarix tree in Beersheba." (Genesis 21:33) Since 2012, it has incorporated the number seven as part of the city rebranding. Beersheba is located on the northern edge of the Negev desert 115 kilometres (71 mi) south-east of Tel Aviv and 120 kilometres (75 mi) south-west of Jerusalem. The city is located on the main route from the center and north of the country to Eilat in the far south. The Beersheba Valley has been populated for thousands of years, as it has available water, which flows from the Hebron hills in the winter and is stored underground in vast quantities. The main river in Beersheba is Nahal Beersheva, a wadi that floods in the winter. The Kovshim and Katef streams are other important wadis that pass through the city. Beersheba is surrounded by a number of satellite towns, including Omer, Lehavim, and Meitar, and the Bedouin localities of Rahat, Tel as-Sabi, and Lakiya. Just north west of the city (near Ramot neighborhood ) is a region called Goral hills (heb:גבעות גורל lit: hills of fate), the area has hills with up to 500 metres (1,600 feet) above sea level and low as 300 metres (980 feet) above sea level. Due to heavy construction the flora unique to the area is endangered. North east of the city (north to the Neve Menahem neighborhood) there are Loess plains and dry river bands. Precipitation in summer is rare, the most rainfalls come in winter between September to May, but the annual amount is low, averaging 195.1 millimeters (7.7 in) per year. Sandstorms, haze and fog are common, especially in winter, as a result of the high humidity. ^ Others includes non-Arab Christians and those not classified by religion. ^ Includes the city of Beersheba. ^ Includes the cities Rahat and Ofakim, the local councils Lehavim, Omer and Tel Sheva, as well as many smaller towns (local councils). The largest employers in Beersheba are Soroka Medical Center , the municipality, Israel Defense Forces and Ben-Gurion University. A major Israel Aerospace Industries complex is located in the main industrial zone, north of Highway 60. Numerous electronics and chemical plants, including Teva Pharmaceutical Industries, are located in and around the city. Beersheba is emerging as a high-tech center, with an emphasis on cyber security. A large high-tech park is being built near the Be'er Sheva North Railway Station. Deutsche Telekom, Elbit Systems, EMC, Lockheed Martin, Ness Technologies, WeWork and RAD Data Communications have already opened facilities there, as has a cyberincubator run by Jerusalem Venture Partners. A Science park funded by the RASHI-SACTA Foundation, Beersheba Municipality and private donors was completed in 2008. Another high-tech park is located north of the city near Omer. An additional three industrial zones are located on the southeastern side of the city – Makhteshim, Emek Sara and Kiryat Yehudit – and a light industry zone between Kiryat Yehudit and the Old City. The official emblem of the municipality of Beersheba depicts an eshel ( tamarisk tree), the tree planted by Abraham according to Genesis,  and the observation tower connected to the municipality building. According to CBS, Beersheba has 81 schools and a student population of 33,623: 60 elementary schools with an enrollment of 17,211, and 39 high schools with an enrollment of 16,412. Of Beersheba's 12th graders, 52.7% earned a Bagrut matriculation certificate in 2001. The city also has several private schools and yeshivot that cater to the religious sector. After Israeli independence, Beersheba became a "laboratory" for Israeli architecture. Mishol Girit, a neighborhood built in the late 1950s, was the first attempt to create an alternative to the standard public housing projects in Israel. Hashatiah (literally, "the carpet"), also known as Hashekhuna ledugma (the model neighborhood), was hailed by architects around the world. Today, Beersheba is divided into seventeen residential neighborhoods in addition to the Old City and Ramot, an umbrella neighborhood of four sub-districts. Many of the neighbourhoods are named after letters of the Hebrew alphabet, which also have numerical value, but descriptive place names have been given to some of the newer neighborhoods. The Negev Museum of Art reopened in 2004 in the Ottoman Governor's House, and an art and media center for young people was established in the Old City. Beersheba is the central transport hub of southern Israel, served by roads, railways and air. Beersheba is connected to Tel Aviv via Highway 40, the second longest highway in Israel, which passes to the east of the city and is called the Beersheba bypass because it allows travellers from the north to go to southern locations, avoiding the more congested city center. 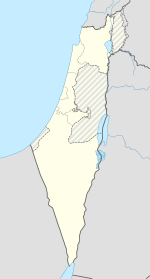 From west to east, the city is divided by Highway 25, which connects to Ashkelon and the Gaza Strip to the northwest, and Dimona to the east. Finally, Highway 60 connects Beersheba with Jerusalem and the Shoket Junction, and goes through the West Bank. On the local level, a partial ring road surrounds the city from the north and east, and Road 406 (Rager Blvd.) goes through the city center from north to south. Israel Railways operates two stations in the city that form part of the railway to Beersheba: the old Be'er Sheva North University station, adjacent to Ben Gurion University and Soroka Medical Center, and the new Be'er Sheva Central station, adjacent to the central bus station. Between the two stations, the railway splits into two, and also continues to Dimona and the Dead Sea factories. An extension is planned to Eilat  and Arad. Hapoel Be'er Sheva plays in the Israeli Premier League, the top tier of Israeli football, having been promoted in the 2008–2009 Liga Leumit season. The club has won the Israeli championship five times, in 1975, 1976, 2016, 2017 and 2018, as well as the State Cup in 1997. Beersheba has two other local clubs, Maccabi Be'er Sheva (based in Neve Noy) and F.C. Be'er Sheva (based in the north of Dalet), a continuation of the defunct Beitar Avraham Be'er Sheva. Hapoel play at the Turner Stadium. Beersheba has a basketball club, Hapoel Be'er Sheva. The team plays at The Conch Arena, which seats 3,000. The city has the second largest wrestling center (AMI wrestling school) in Israel. [ citation needed] The center is run by Leonid Shulman and has approximately 2,000 students, most of whom are from Russian immigrant families since the origins of the club are in the Nahal Beka immigrant absorption center. Maccabi Be'er Sheva has a freestyle wrestling team, whilst Hapoel Be'er Sheva has a Greco-Roman wrestling team. In the 2010 World Wrestling Championships, AMI students won five medals. Cricket is played under the auspices of Israel Cricket Association. Beersheba is also home to a rugby team, whose senior and youth squads have won several national titles (including the recent Senior National League 2004–2005 championship). Beersheba's tennis center, which opened in 1991, features eight lighted courts, and the Beersheba (Teyman) airfield is used for gliding. ^ a b "List of localities, in Alphabetical order" (PDF). Israel Central Bureau of Statistics. Retrieved August 26, 2018. ^ Mildred Berman (1965). "The Evolution of Beersheba as an Urban Center". Annals of the Association of American Geographers. 55 (2): 308–326. doi: 10.1111/j.1467-8306.1965.tb00520.x. ^ a b "Beersheva: Israel's emerging high-tech hub - Globes English". ^ Freedman, David Noel; Myers, Allen C. (2000). Eerdmans Dictionary of the Bible. Wm. B. Eerdmans Publishing Co.
^ a b "Beer Sheva". Jewishmag.com. Archived from the original on April 30, 2009. Retrieved 2009-05-05. ^ "Beersheba". Jewishvirtuallibrary.org. October 21, 1948. Retrieved 2013-08-08. ^ a b Rapport, Arial. מכורש עד אלכסנדר: תולדות ישראל בשלטון פרס. Open University of Israel. pp. 196–198. ^ "הקדמה לתולדות באר שבע וסיפוריה". ^ "Salvage excavation In Ramot Nof, Be'er Sheva". JSTOR 23457938. ^ a b c Yitzhak Reiter, Contested Holy Places in Israel–Palestine: Sharing and Conflict Resolution, Taylor & Francis 2017 ISBN 978-1-351-99885-7 p.209. ^ a b Kressel, Gideon M.; Ben-David, Joseph (1996). "Nomadic Peoples" (PDF). Nomadic Peoples. The Commission on Nomadic Peoples of the International Union of Anthropological and Ethnological Services (IUAES) (39): 3–28. ^ Abu-Rabia, Aref. A Bedouin Century: Education and Development among the Negev Tribes in the 20th century. Berghahn Books. Retrieved 2013-08-08. ^ a b c d e f g Yasemin Avcı. "The application of Tanzimat in the desert: The Bedouins and the creation of a new town in Southern Palestine (1860–1914)". Middle Eastern Studies. 45 (6): 969–983. doi: 10.1080/00263200903268728. ^ 'Aref Abu-Rabi'a (2001). A Bedouin Century. Berghahn Books. pp. 8–10. ^ George L. Robinson (1901). "The Wells of Beersheba". The Biblical World. 17 (4): 247–255. doi: 10.1086/472788. ^ Palestine Exploration Fund, Quarterly Report for April 1901, p100. ^ Alois Musil (1908). Arabia Petraea. 2. Wien. p. 66. Bir es-Seba wächst von Tag zu Tag; heuer baut man bereits anstatt der Zelte stattliche Häuser, die eine schöne Straße vom Seräja zum Talbette bilden. Beim Regierungsgebäude hat man einen Garten angelegt und allerlei Bäume gesetzt, welche gewiß gut fortkommen werden, denn die wenigen vor zwei Jahren bei der Dampfmühle am Südostende der Straße gepflanzten Sträucher sind inzwischen stark gewachsen. Die rege Bautätigkeit verursacht auch hier eine rege Ausbeutung des Ruinenfeldes. ^ George L. Robinson (1908). "Beersheba Revisited". The Biblical World. 31 (5): 322+327–335. doi: 10.1086/474045. ^ Abu Rabi'a (loc. cit.) names the other two as Palestinian Arabs Sa'id Effendi al-Nashashiby and his assistant, Ragheb Effendi al-Nashashiby. However, Biger (Ottoman Town Planning in Late 19th and early 20th Century Palestine, 3rd International Geography Symposium, 2013, 23–32) says that they were Turks educated in Germany. ^ Gerdos, Yehuda (1985). "Basis of Beersheba City Planning". In Mordechai Na'or. Settlement of the Negev, 1900–1960 (in Hebrew). Jerusalem, Israel: Yad Yitzhak Ben-Zvi. pp. 167–177. ^ Vilnai, Ze'ev (1969). "Be'er Sheva". Ariel Encyclopedia (in Hebrew). Volume 1. Tel Aviv, Israel: Sifriyat HaSadeh. pp. 473–515. ^ Cotterell, Paul (1986). "Chapter 3". The Railways of Palestine and Israel. Abingdon, UK: Tourret Publishing. pp. 14–31. ISBN 978-0-905878-04-1. ^ "Senate Debates: 60th Anniversary of the State of Israel". March 18, 2008. Retrieved September 7, 2015. ^ Medlicott, Jeanne (April 21, 2015). "Beersheba Lighthorse Anzac diorama unveiled in Narooma". Narooma News. Retrieved September 7, 2015. ^ Kark, Ruth; Frantzman, Seth J. (April 2012). "The Negev: Land, Settlement, the Bedouin and Ottoman and British Policy 1871–1948". British Journal of Middle Eastern Studies. ^ J. B. Barron, ed. (1923). "Table V". Palestine: Report and General Abstracts of the Census of 1922. Government of Palestine. p. 11. ^ a b United Nations Special Committee on Palestine, Report to the General Assembly, September 3, 1947, Volume II, A/364, Add. 1 Archived September 10, 2015, at the Wayback Machine. UNGA Resolution 181 (Nov 27, 1947). . See boundaries here. ^ Anita Shapira, Yigal Allon: Native Son p.242. ^ a b Morris, Benny. The Birth of the Palestinian Refugee Problem Revisited, Cambridge University Press, p. 467. ^ a b Shapira, Anita (2007). Yigal Allon: Native Son. University of Pennsylvania Press. p. 245. Retrieved 2013-08-08. ^ a b Alef Abu-Rabia, 'Beersheva,' in Michael Dumper, Bruce E. Stanley (eds. ), Cities of the Middle East and North Africa: A Historical Encyclopedia, ABC-CLIO, 2007 ISBN 978-1-576-07919-5 p.80. ^ Simha Flapan, The Palestinian Exodus of 1948, Journal of Palestine Studies Vol. 16, No. 4 (Summer, 1987), pp. 3-26. ^ Morris, Benny (1987) The birth of the Palestinian refugee problem, 1947–1949. Cambridge University Press. ISBN 0-521-33028-9. p.245. ^ "The Canadian Jewish Chronicle - Google News Archive Search". ^ "Pittsburgh Post-Gazette - Google News Archive Search". ^ a b "Jewish National Fund: Be'er Sheva River Park". Jnf.org. Retrieved 2013-03-12. ^ רועי צ'יקי ארד 8 July 2011 00:54 עודכן ב: 23:15. "שיגעון המים של בירת הנגב – חינוך וחברה – הארץ". Haaretz.co.il. Retrieved 2013-03-12. ^ "mynet באר שבע – תגידו, צריך חוף ים בבאר שבע?". Mynet.co.il. June 20, 1995. Retrieved 2013-03-12. ^ "מקומי – באר שבע nrg – ...דרעי עצבני: רב העיר ב"ש יוצא לקרב". Nrg.co.il. Retrieved 2013-03-12. ^ "Skyscrapers dotting Tel Aviv landscape | j. the Jewish news weekly of Northern California". Jweekly.com. March 29, 1996. Retrieved 2013-03-12. ^ "Rambam Square 2, Beer Sheva". IL /: Emporis.com. July 21, 2003. Retrieved 2013-08-08. ^ "All buildings | Buildings". Emporis. July 21, 2003. Retrieved 2013-03-12. ^ "Rambam Square 2 | Buildings". IL /: Emporis. July 21, 2003. Retrieved 2013-03-12. ^ "skyscrapers | Buildings". Emporis. Retrieved 2013-03-12. ^ "ynet מגדלים בלב המדבר: תנופת הבנייה מגיעה לב"ש – כלכלה". Ynet.co.il. Retrieved 2013-03-12. ^ "Beersheba opts for trees over urban sprawl – Israel Environment, Ynetnews". Ynetnews.com. June 20, 1995. Retrieved 2013-03-12. ^ "חדשות – צבא וביטחון nrg – ...כיפת ברזל יירטה שתי רקטות". Nrg.co.il. October 31, 2011. Retrieved 2013-03-12. ^ "ynet גראד דוחה מחאה? "גם ספטמבר לא יזיז אותנו" – חדשות". Ynet.co.il. Retrieved 2013-03-12. ^ "חדשות – צבא וביטחון nrg – ...רקטה התפוצצה בבאר שבע; חיל". Nrg.co.il. Retrieved 2013-03-12. ^ "חדשות – צבא וביטחון nrg – ...הרוג ושישה פצועים בפגיעות". Nrg.co.il. Retrieved 2013-03-12. ^ "פיגוע בבאר-שבע: ערבי תקף בגרזן ופצע שניים | שלימות הארץ | חדשות". Hageula.com. June 27, 2011. Archived from the original on May 16, 2013. Retrieved March 12, 2013. ^ "באר שבע: כוחות גדולים במצוד אחר "התוקף בפטיש" – וואלה! חדשות". News.walla.co.il. Retrieved 2013-03-12. ^ "אלמוני תקף שני גברים בפטיש ליד עיריית באר שבע – וואלה! חדשות". News.walla.co.il. Retrieved 2013-03-12. ^ "נענע10 – סוכל ניסיון פיגוע בבאר שבע: פלסטיני שתכנן לבצע פיגוע דקירה נעצר בדירת מסתור בעיר – חדשות". News.nana10.co.il. June 17, 2009. Retrieved 2013-03-12. ^ "חדשות 2 – סוכל פיגוע דקירה בבאר שבע: מחבל נעצר בדירת מסתור". Mako.co.il. Retrieved 2013-03-12. ^ "The climate of Beer Sheva". Archived from the original on March 25, 2008. Retrieved 2008-02-24. ^ טייג, אמיר (March 29, 2010). ""כל חייל שניווט פעם בגבעות גורל ישמח לשמוע שאת הג'בלאות החשופות החליפו וילות עם גינות פורחות"" – via TheMarker. ^ "Be'er Sheva rejoices after rare snowfall". ^ "Averages and Records for Beersheba (Precipitation, Temperature and Records [Excluding January and June] written in the page) between 1981 and 2000". Israel Meteorological Service. August 2011. Archived from the original on September 14, 2010. ^ "Records Data for Israel (Data used only for January and June)". Israel Meteorological Service. ^ "הסבר לקובץ ערכי טמפרטורה 2013" (PDF). Israel Meteorological Service. 2013. p. 11. Archived from the original (PDF) on January 30, 2016. ^ The Blueprint Negev and the Future of Israel (October 18, 2012). "The Blueprint Negev and the Future of Israel | Jerusalem Post – Blogs". Blogs.jpost.com. Retrieved 2013-03-12. ^ "תוכנית באר שבע אושרה; המטרה – מיליון תושבים עד שנת 2020". Calcalist.co.il. June 20, 1995. Retrieved 2013-03-26. ^ "LOCALITIES, POPULATION AND DENSITY PER SQ. KM. BY METROPOLITAN AREA" (PDF). Retrieved 2016-07-03. ^ a b "Dun's 100 2007 – Be'er-Sheva Municipality VP". Duns100.dundb.co.il. Archived from the original on February 21, 2009. Retrieved May 5, 2009. ^ Bousso, Nimrod (April 24, 2015). "Desert Storm: Be'er Sheva Rapidly Emerges as Global Cyber Center". Ha'aretz. Retrieved September 10, 2015. ^ "Secular candidate elected Jerusalem mayor". Enews20.com. November 12, 2008. Archived from the original on February 15, 2009. Retrieved May 5, 2009. ^ "technical college website". Tcb.ac.il. Retrieved 2013-08-08. ^ "school website". Techni-bs.iscool.co.il. Retrieved 2013-08-08. ^ "h2g2 – Be'er Sheva, Israel – A4499625". BBC. Archived from the original on May 31, 2009. Retrieved 2009-05-05. ^ Lubliner, Elan (February 21, 2009). "'Gateway' center aims to help the Negev bloom again". Jerusalem Post. Around Israel. Archived from the original on August 13, 2011. Retrieved 2009-05-05. ^ "Will Be'er Sheva allow Muslims to use city's only mosque? – Haaretz – Israel News". Haaretz. Archived from the original on June 6, 2009. Retrieved 2009-07-07. ^ Curiel, Ilana (June 24, 2011). "Beersheba mosque to become Islam museum". Yediot Ahronot. Retrieved March 18, 2015. ^ "Transportation in the Negev". Negev Information Center. Archived from the original on June 14, 2008. Retrieved March 25, 2008. ^ "Map of lines of the Metropoline company" (in Hebrew). Metropoline. Archived from the original on December 17, 2008. Retrieved 2008-11-24. ^ "the new payment system in Beersheba". ^ Hazelkorn, Shahar (March 17, 2008). "Mofaz Decided: A Railway to Eilat Will Be Built" (in Hebrew). Ynet. Archived from the original on March 21, 2008. Retrieved 2008-03-25. ^ Bocker, Ran (July 15, 2012). "From Beersheva to Tel Aviv in 55 MInutes". Ynet (in Hebrew). Retrieved July 15, 2012. ^ "Eilat high speed rail line gets green line". Airrailnews.com. February 14, 2013. Archived from the original on April 10, 2013. Retrieved 2013-03-26. ^ "mynet באר שבע – רכבת קלה? הצחקתם את הבאר שבעיים". Mynet.co.il. June 20, 1995. Retrieved 2013-03-26. ^ "נחתם ההסכם הסופי לתכנון רכבת קלה בבאר שבע - גלובס". ^ ""מספיק להגר למרכז - יש כאן דירות בחצי מיליון שקל, והרבה מהן" - Bizportal". ^ "Tel Aviv light rail project may be stopped in its tracks". ^ Gavin Rabinowitz (December 12, 2004). "Beersheba is king of world chess". Jerusalem Post. p. 4. Archived from the original on June 14, 2011. By all accounts it is Levant, 76, who is responsible for chess taking root in these arid surroundings... Klenburg says the club's success is all owed to Levant. 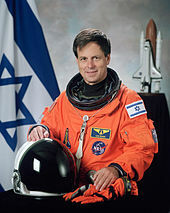 "He was the right man at the right time,"
^ "mynet באר שבע – באר שבע מובילה במאבק על ספורט ההאבקות". Mynet.co.il. Retrieved 2013-03-26. ^ "ミニ". Archived from the original on May 29, 2007. Retrieved December 31, 2005. ^ "Beersheba wins EU's green travel award". Ynetnews.com. June 20, 1995. Retrieved 2013-08-08. ^ "International Relations of the City of Beersheba" (in Hebrew). Beersheba Municipality. Archived from the original on February 13, 2012. Retrieved 2012-02-08. ^ "Villes amies de Bouaké" [Twin towns with Bouaké] (in French). mairiebke.e-monsite.com. Retrieved 2014-08-20. ^ "Partner Cities of Lyon and Greater Lyon". copyright 2008 Mairie de Lyon. Archived from the original on July 19, 2009. Retrieved 2008-10-21. Thareani-Sussely, Yifat (2007). "The 'Archaeology of the Days of Manasseh' Reconsidered in the Light of Evidence From The Beersheba Valley". Palestine Exploration Quarterly. 139 (2): 69–77. doi: 10.1179/003103207x194091. Wikimedia Commons has media related to Beersheba. Goodchild, Philip; Talbert, Andrew (2010). "Beersheba & Abraham". Bibledex in Israel. Brady Haran for the University of Nottingham.